Rhino Bavi is a quad rotor model which can fly for about 45 minutes and withstand high winds. Raglan, New Zealand is home for a rhino conservation charity and an industrial drone company that have teamed up for a worthy cause. During a trip to South Africa, the founder of Tusk and Horn Wildlife Trust witnessed how a drone was used to locate one of the critically endangered animals. According to a recent report, drone technology could be extremely useful for conservation work, particularly if it could provide night vision to support security teams in patrolling reserves. Unfortunately, the drone being used at that time did not have that capability as resources were limited. Upon returning from South Africa, the founder approached Aeronavics for help. The drone company was deeply moved by the gruesome imagery shown to them, of rhinos lying in pools of their own blood after having their horns hacked off by poachers. 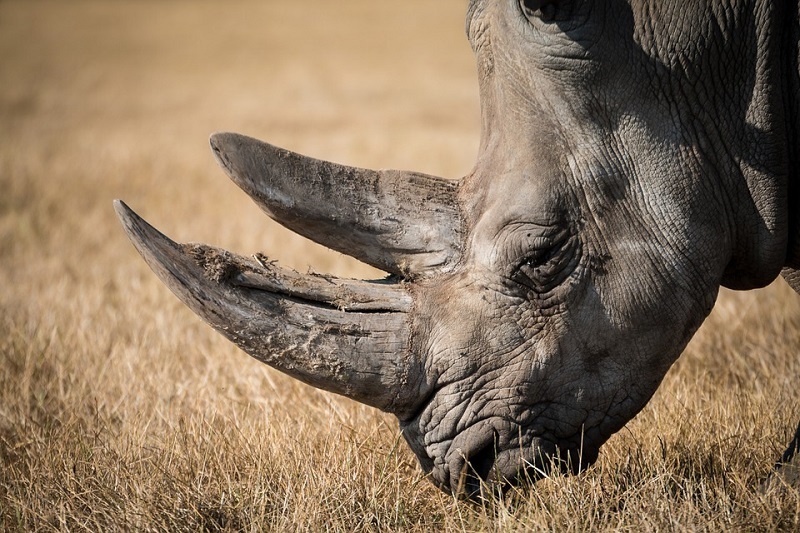 Rhino horn is trafficked to Asia where it is erroneously believed to have healing powers. There are thought to be less than 25,000 rhino left in the world, and if nothing changes, the species could become extinct in as little as 20 years. After 18 months, the ‘Rhino Bavi’ prototype conservation drone was taken to South Africa for testing. It is a quad rotor model which can fly for about 45 minutes and withstand the high winds common in the region where it will be deployed. It can comfortably fly several kilometres without losing contact with the radio and video controls. Moreover, it carries normal and thermal cameras side-by-side. It is designed specifically to help the anti-poaching units with security, to keep a night view eye in the sky. It is also being used to find and film the rhinos. The system delivered is much more powerful and fit for purpose than smaller, cheaper mass-market drones, but this comes at a cost. The next steps are to implement improvements to the prototype and work out how to deploy the technology on a wider scale. Funding will also be a challenge, as the drones cost around NZ$ 20,000 each. The applications for the drone technology are endless, from capturing critical data for inspecting power lines to pest control, environmental management and precision agriculture practices. In all of these areas, the company is trying to achieve a larger community. It has a strong development focus, because they believe in the strategy of focusing on future technologies that can solve some of the bigger problems facing the world today. These problems include precision agriculture practices, environmental management, climate change and infrastructure monitoring. Callaghan Innovation’s Business Innovation Adviser for Transport and Logistics said that the agency and its predecessors have worked with the company for the past six years. They have helped with funding for a number of projects aimed at improving drone capability. The early years were concentrated on the platform performance, with latter years more about the integration of specialised role-equipment, sensors and the analysis of the data received. Callaghan Innovation has also helped the company form valuable networks with other associated companies and suppliers.